A a group of guests in a mystery writer’s mansion are being terrorized by The Bat, a criminal who has hidden $20,000 dollars (A lot more back then) somewhere in the mansion. A detective searches for the Bat and the hidden money. 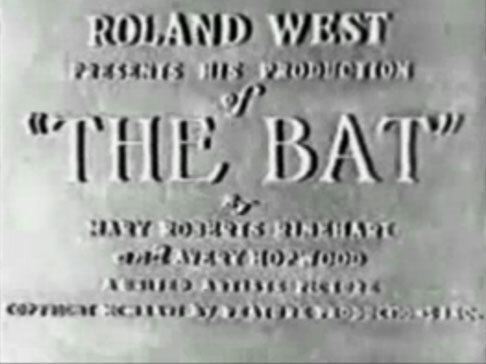 N.B – As many Batfans will know, this film is where Bob Kane got the Inspiration for the comic book superhero “Batman” – if you look, you’ll notice the Bat-signal, here used to frighten the guests before the Bat attacks.